Morale decadence. 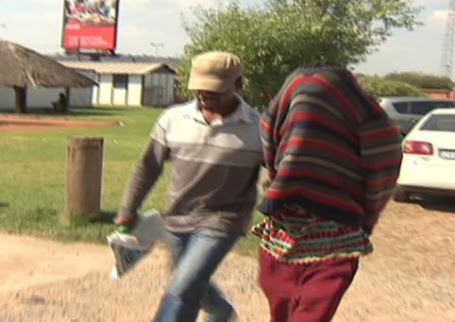 Two young men have been arrested after allegedly kidnapping and gang-r*ping their former teacher in a rural community in South Africa. The unnamed woman, a teacher at a high school near Marken, Limpopo, South Africa, was said to have been abducted from her home on Monday after they broke in while she was asleep. The two detainees, aged 18 and 20, are believed to be part of a group of men who tied her up with a rope before loading her into the boot of her VW Polo. The men then allegedly gang r*ped her before dumping her in the bushes and fled in her car. A police spokesperson said the suspects were ‘well known to the victim’ as previous students and neighbors. ‘During the arrest, one of the suspects was found in possession of the ignition keys of the victim’s car and later, the victim’s car was found abandoned in bushes near Marken,’ he added. ‘It was also detected that the suspects made turns in gang-r*ping the victim and dumped her still tied in the bushes before they fled the scene with her vehicle VW Polo. Police opened cases of house breaking with intent to commit crime, kidnapping, armed robbery and r*pe,’ he said. Police found the teacher dumped in the bushes along the road to Bakenburg outside Mokopane. She was rushed to hospital and was eventually discharged on Sunday afternoon.